If you do squats then let the world know (like they can’t already tell). 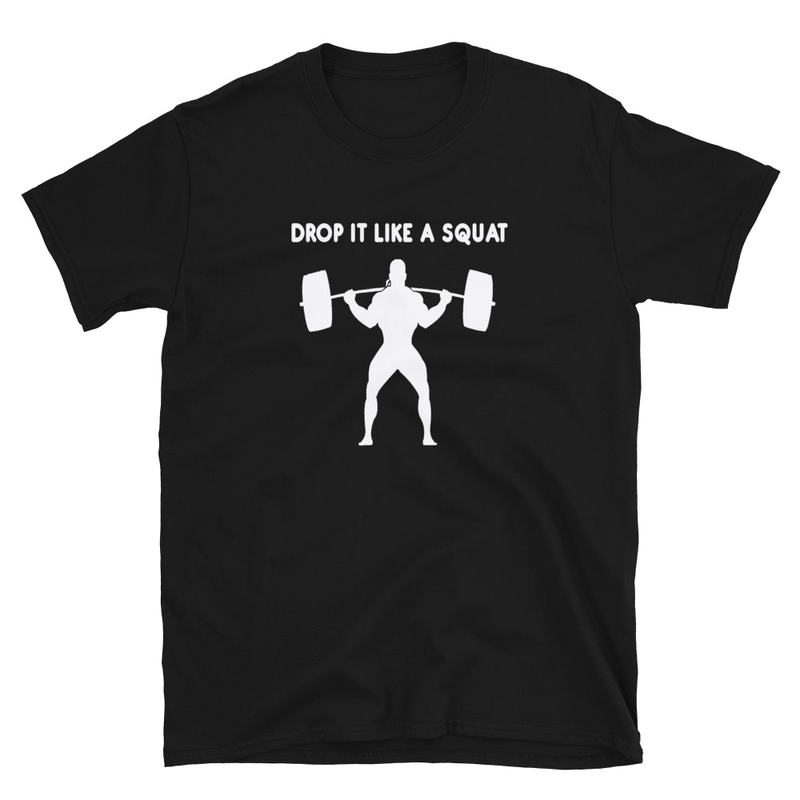 This funny weightlifting tshirt has the logo “Drop it like a squat” across the front. The shirt is available in black, navy blue, forest green, red and royal blue. If you are into fitness and doing squats at the gym, then this is the shirt for you. Be the first to review “Drop it like a squat” Click here to cancel reply.